Home » How Did This Worker Sustain Amputation Injuries While Channel Dredging? How Did This Worker Sustain Amputation Injuries While Channel Dredging? Last year, a worker was channel dredging at Port Canaveral in Cape Canaveral, Florida when he very suddenly sustained serious injuries. Dredging is a necessity at harbors and ports around the world. Without dredging, sediments that wash downstream will eventually fill the port, which is why dredging is a 24-hour process at Port Canaveral. Crewmembers who work on the dredge vessel must be shuttled from land to the vessel every day on a crew boat that’s tied to the dredge. Typically, the shuttle barge backs up stern first to the dock or the dredging vessel. The crew will get into or off the boat from the stern, stepping past the spinning propellers that holds the boat steady. During a crew exchange, the worker slipped and fell from the shuttle barge. He landed in the water, but his legs fell into the spinning propellers. He lost one leg below the knee and his other foot during this horrifying accident. Miraculously, the worker was able to grab a rope and hold on until he was rescued. These injuries are often caused because employers allow untrained workers to operate dredging machinery. Moreover, dredging is physically difficult and the conditions can be harsh. There are long shifts and workers may get fatigues, which can result in more dredging accidents. Workers may also have to get into the water to perform maintenance on equipment, which can be risky without the proper safety gear and training. Though the worker who received amputation injuries was not yet on the dredge that day, the responsibility of shuttling crew members to and from the dredge safely falls on the dredging employers. If the crew members must leap over spinning propellers several times per day, the company employing them should make sure there is a safer walkway and non-slip surfaces on the dock, the dredge and the shuttle. The Employer has a duty to provide a safe place to work and a safe place of means of ingress and egress to the vessel. Latti & Anderson LLP has represented many amputees over the years who have been injured by spinning propellers and/or lack of safe means to get on and off a vessel. 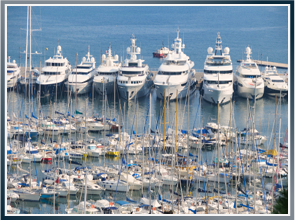 Latti & Anderson LLP is a maritime injury law firm that fights for victims who have been injured at sea. Next Why are Passengers Calling Royal Caribbean a Nightmare Cruise Line?